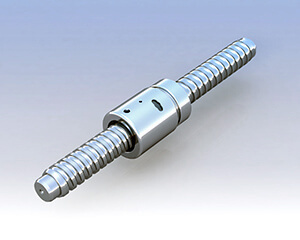 STAF Ball Screws are a high-efficiency feed screw with integral steel balls making a rolling motion between the screw axis and the nut. 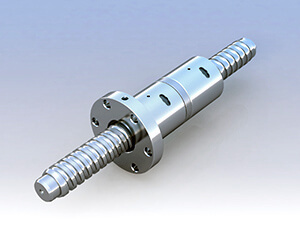 Compared with a conventional sliding screw, this product has a drive torque of one-third or less, making it most suitable for saving drive motor power. Precision Rolled Ball Screws offer High Precision, Low Noise, Low Friction, Long Life and Smoothness of Movement in a Standardized product available with a short delivery time. Precision Ground ball screws of JIC C3, C5 and C7 accuracy grades and diameters from 6mm to 80mm with leads from 1mm to 50mm. Ball Screw end machining available, as well as custom ball nut designs. Precision rolled ball screws of JIC C5 and C7 accuracy grades and diameters from 6mm to 80mm with leads from 1mm to 50mm. 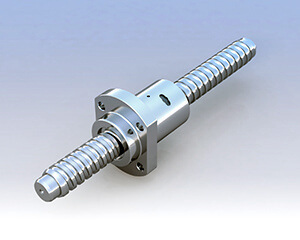 Ball Screw end machining available, as well as custom ball nut designs.